Next Day Turf deliveries are our bread and butter. We know that ordering online can sometimes be a world of uncertainly with how larger items are going to be delivered. To ease any worrying, we’ll go through our exact process in getting your order from the field to your home and everything in-between. So why do we offer next day delivery? The main reason is due to the very nature of the product itself. 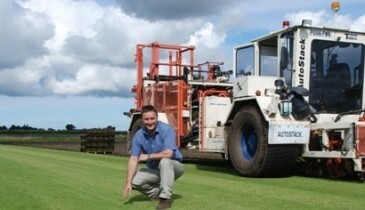 As turf is a perishable good, it ideally needs to be laid on the same day of delivery. 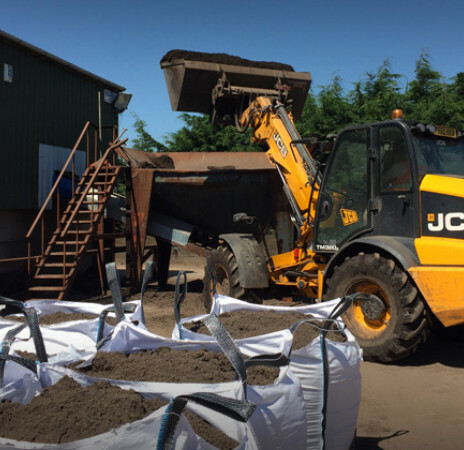 This is even more crucial in the summer months as the turf can reach high temperatures and spoil if it is left on the pallet for long durations. Therefore, some planning is necessary by the customer as to when exactly they would like the delivery to take place. As a bit more planning is involved in comparison to taking delivery of a small item, it is essential that we as suppliers do everything we can to make it as easy as possible. That’s why we offer the ability to order turf online, with the option to select a specific date (up to a month in the future) as well as being able to choose a delivery slot. These are between 8am and 1pm and from 12pm to 6pm. This system has served us very well over the years and allows flexibility for the customer if errands need doing in the morning or afternoon, or if you just don’t like the uncertainty of waiting around all day for it to come! Another option that we also offer is Saturday deliveries. This is a great option if you just cannot get any time off during the week. Each day our trained harvest operators are in the fields getting all the orders cut ready for next day deliveries. By cutting to order it means that we can ensure a level of quality for our turf so that the best possible product arrives with the customer. 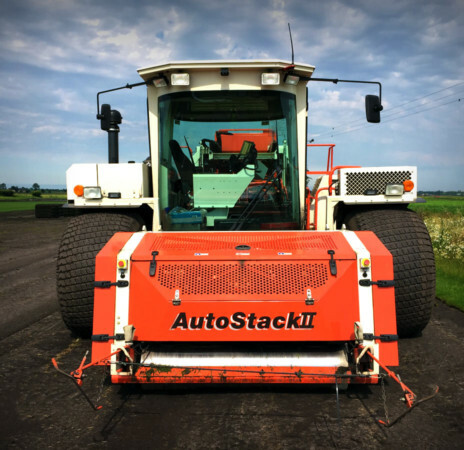 To help with increased demand we recently acquired a brand new Autostack Turf Harvester (shown below.) This incredible machine makes cutting the turf and stacking it neatly on pallet an absolute breeze, reducing the possibility of the rolls being damaged. 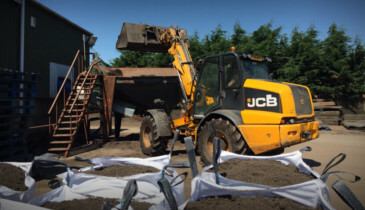 No matter how much turf you need whether it’s a small area such as your vegetable patch, or rolling vistas on a grand estate, we have you covered. So the turf has now been grown, harvested and stacked onto a pallet, but what about getting the goods to your door? Well, as we’re pretty good at growing the turf we thought we’d leave the delivering to professionals in their area. This means that deliveries involve a network of haulage companies that are driven to getting your delivery to you as efficiently as possible. It’s as simple as that. 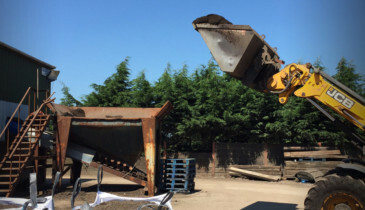 Once the goods have been harvested and stacked to order, it is collected by the haulage company later that day, and then distributed up and down the country to your nearest depot overnight. Once it arrives at your local depot, the pallet is taken from the large 44 tonne Artic Lorry and placed onto a smaller vehicle. A running order is then put together by the courier ready for the next day deliveries. Deliveries are made with vehicles that range from 7.5 to 18 tonnes, a similar size to a bin lorry. 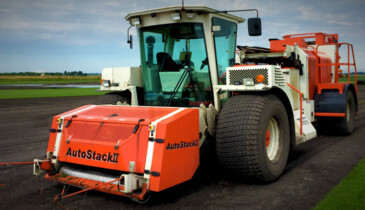 The operator will lower the goods on a tail lift at the back of their wagon, and then equipped with a pump pallet truck, manoeuvre them into position. The haulage companies are contracted to kerbside delivery, like a parked car at the side of the road. This is due to the machinery they use and only being able to move the pallets across flat, hard-standing areas such as concrete or tarmac. In some circumstances delivery can be made onto a driveway if it meets this criteria and the delivery driver believes it is safe and possible. So there you have it, the process in its entirety from ordering, to harvesting and finally on to delivering the final product to your home. If this hasn’t answered all your questions however, please get in touch and we’ll fill in any gaps you may have. Interested in purchasing turf? Order now on our turf products section now.